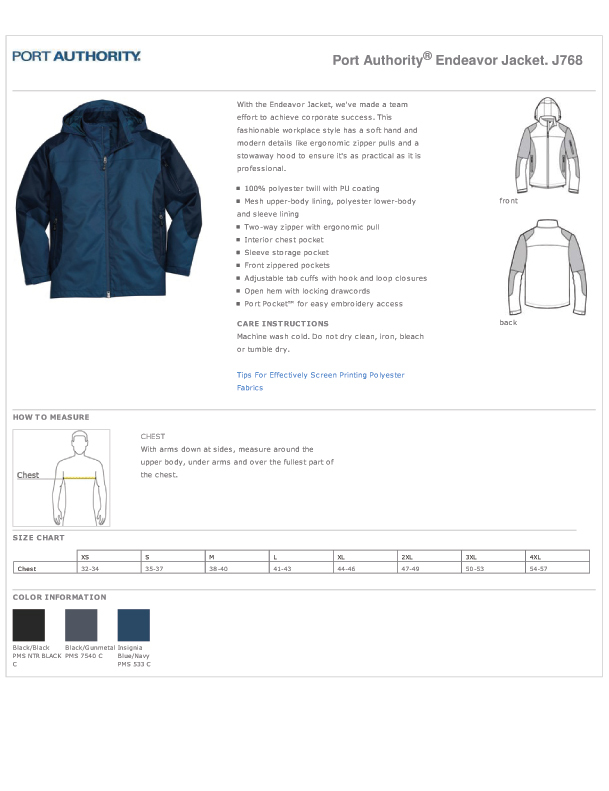 Rated for mild warmth, water & wind resistant, this full-zip lightweight work jacket is perfect for yourself or as an outerwear part of your company uniform. The stowaway hood stays hidden until needed, giving your garment a sleek/modern appearance. The PU coated poly twill exterior is married to a poly lining, while the cuffs are adjustable. Protect your media with the inside chest pocket and organize your other stuff using the two exterior zippered pockets. A unique Port Pocket gives you access in between the lining and shell to hide the backside of a chest embroidered logo. Sizes from extra-small to big men's plus 4xl and three colors to pick from. Screen-printing logo services available. Get the best fit by using our online size chart. Bulk Pricing.